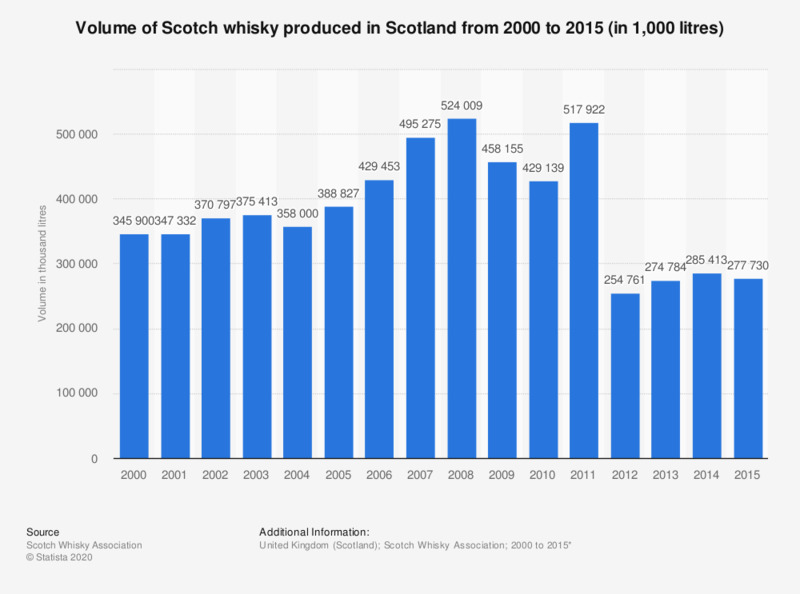 This statistic displays the total volume of Scotch whisky produced per annum from 2000 to 2015. The largest volume of Scotch whisky produced was in 2008 with a total production of 524 million litres of whisky. Since then the total volume of whisky produced has declined. * Year ending December 31st. Everything On "Scotch whisky industry in the United Kingdom " in One Document: Edited and Divided into Handy Chapters. Including Detailed References.